Compatible with WPML, Visual Composer 4.11.x, Bootstrap 3.x. SPIN SEO has been tested with browsers IE9, IE10, IE11, Firefox, Safari, Opera, Chrome, Edge. 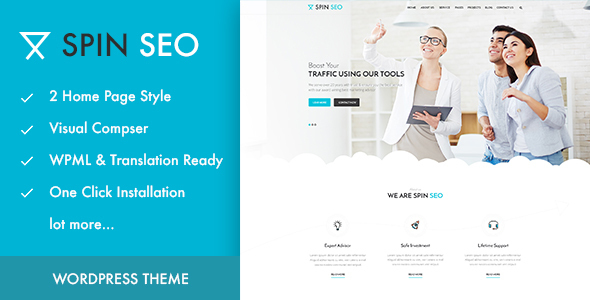 Related Items for SPIN SEO - SEO & Business WordPress Theme!